Amish handmade, the Prestige Chest of Drawers boats mortise and tenon construction, dovetailed joinery, and domestic hardwood for storage that will last. Furniture chosen for baby needs to be safe, secure, and stylish. All of our nursery chests of drawers are hand built and hand finished for smoothness and safety. Secure your child’s belongings in six dovetailed drawers finished to match the exterior of this solid wood Prestige chest of drawers. 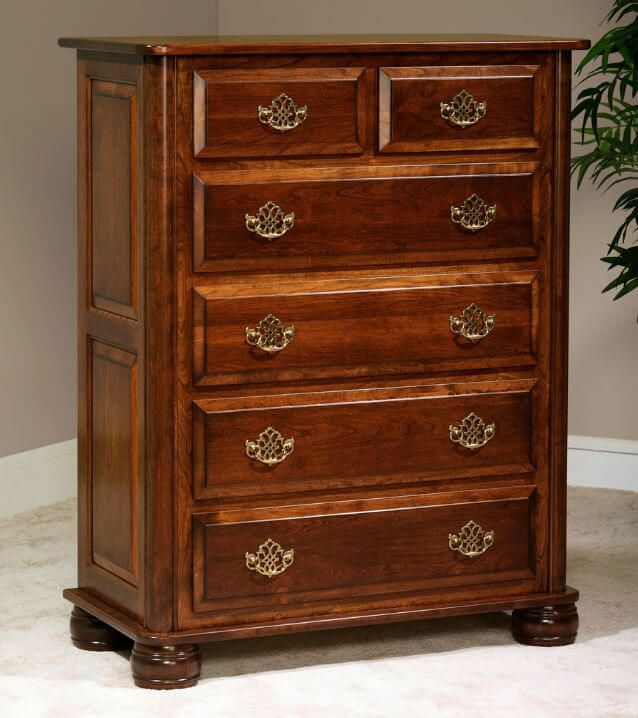 Style your chest of drawers in the American hardwood of your choice which is finished with a custom stain you select as well as hardware you specify. 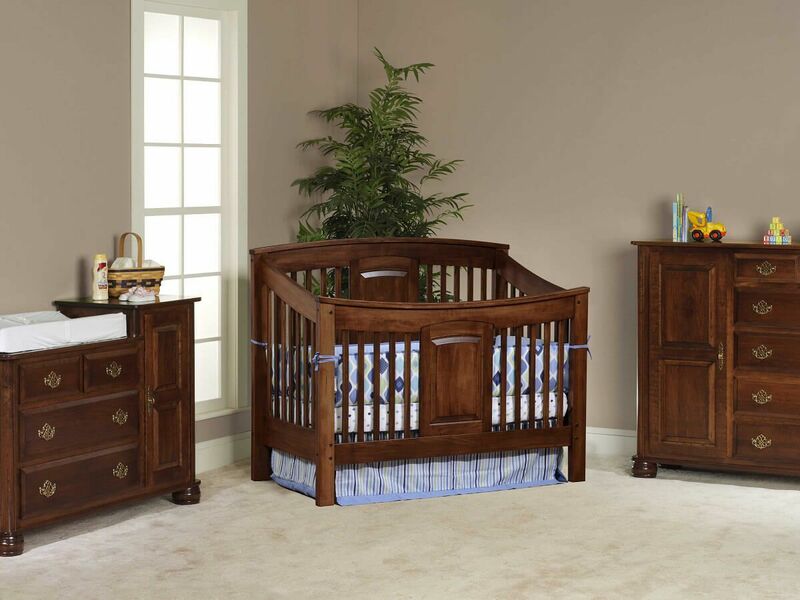 Other Prestige Nursery Set pieces include the Prestige Nightstand and the Prestige Dresser, which you may customize to create a full Traditional style nursery set.